Buy Office Furniture with the best quality at the cheapest price. 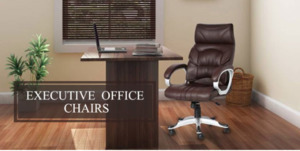 Give a modern touch to your office and check here for the wide variety of office chair: office executive chairs, mesh office chairs, office visitor chairs, and workstation chairs. You can also find the different color as per your office interior and unique design with a different type such as high back, medium back and low back.